Aleisa, Aleisa: Challenges and Opportunities for Hakainde Hichilema | Elias Munshya, LL.M, MBA, M.DIV. E. Munshya, LLB (Hons), Mdiv. We make no error by stating, unequivocally, that Hakainde Hichilema was the big winner from the by-elections held in February. Things are looking pretty good for HH. The United Party for National Development (UPND) did exceptionally well. It is becoming eloquently clear that the winds of political fortune are gusting their way. For how long, though, will the UPND hold on to this political swelling? Additionally, what challenges or opportunities do the victories in Chililabombwe and in Katuba present to Zambia’s political landscape? We try to provide an analysis here. There are many challenges that UPND will face after Katuba. However, in facing these challenges, they should never underestimate the political skills of Michael Chilufya Sata. With things as bad as they are for the Patriotic Front, President Sata still remains reasonably popular within his traditionally strong areas. These areas include urban areas and Luapula-Northern corridor. The UPND should not leave any stone unturned or become complacent. If they want to provide a real alternative to Sata they should be willing to confront him and his political abilities. They should take the fight right to Sata’s doorsteps. Last week, the PF won overwhelmingly in a Kitwe ward. This is further testimony to the fact that in spite of urban discontent with the PF, defeating it will not come on a silver platter in 2016. The UPND’s other challenge concerns its bad performance in the Bemba-speaking areas. We have talked about this several times. In spite of having been on the political scene for such a long time – for almost two-decades – it is desolate that the UPND has not made any real progress with the Bemba-speaking vote in Northern or Luapula Provinces. This is a serious issue that the UPND should resolve. For once, HH should come up with a strategy that would resonate with the people of this Bemba-speaking world. We are satisfied that HH recognizes this and he has promised to travel to these places in the near future to hold meetings there. Doing so will be a step in the right direction. We do not believe that the UPND is anymore tribal than the PF. But they should come up with a more workable strategy to show that they are serious about issues affecting all Zambians regardless of tribe or class. As such, more than just holding meetings in the Bemba-speaking areas, HH should begin attracting real opinion formers and political noisemakers that are well known in the Luapula-Northern corridor. It is quite concerning that to-date, HH and his UPND still do not have a politically influential Bemba within their ranks. If HH is to be a serious contender in 2016 he must deal with this anomaly. He could also learn something from Michael Sata. What made Sata president are not only the Bemba vote or the urban vote, but also the Lozi vote. Sata would not have won the 2011 elections had it not been for the Lozi vote. It was very significant. Sata crafted a message for Mongu. And the people of Mongu bought into it. HH should do better for the people of Mansa and Kasama. For one thing, the issue of Chitimukulu is not a politically potent issue for HH to use in winning the Bemba vote. In fact, Sata continues to mess with the Chitimukulu issue because he knows that it is of no political consequence to him. Those who think that the Chitimukulu saga would sink Sata among Bemba-proper peoples either do not know history or having known history, they have chosen to ignore it completely. HH should be careful in the way he jumps on the Sosala saga. It is not big enough an issue to help him address the Northern-Luapula deficit. The Chitimukulu story should be situated within a particular context. It is a chieftaincy dispute that has to do with complicated family and royal quarrels that are confusing to everyone. Such disputes would not provide good-enough political ammunition for HH. Umuto wa lupwa tawitika. After Sata has quarreled with the Bemba royalists they will, in no time, make up and it will be business as usual. With that in mind, HH should be one step ahead and deal with issues that are truly concerning to the rural people of Luapula and Northern provinces: issues such as farming inputs and infrastructure development. Opportunities abound for HH. With the win in a Chililabombwe ward, the people of the Copperbelt might have started to have another good look at him. It would be better for HH and his UPND to begin sending a popular message to the people of the Copperbelt and Lusaka. Urban voters will prove significant. Considering that much of Southern, Western, Northwestern and rural Copperbelt is warming up well to HH, he would need just a little more votes in the urban areas to win in 2016. But he must have a message for the urban areas. He should make his message simple. He should deal with bread and butter issues that are the most pressing in Lusaka and the Copperbelt. With a slight uptick along the line of rail, HH would be the candidate to watch in 2016. HH also now has the opportunity to set the agenda for the opposition parties. He is in a position to negotiate for a prominent place within the opposition gala. He has the break to shape how the opposition will take on the don’t kubeba machinery come 2016. For sure, HH should not be afraid to try and foster an alliance with either Nevers Mumba or even Geoffrey Bwalya Mwamba (GBM). If he continues on the same path of popularity, we see no reason why either of these gentlemen would be reluctant to align with him. Regardless of how one looks at it, an opposition alliance led by Hakainde Hichilema and deputised by Nevers Mumba or GBM will beat the Patriotic “Kaloba” Front very easily. But the question remains: is HH ready to use the newly found political capital to foster this alliance? 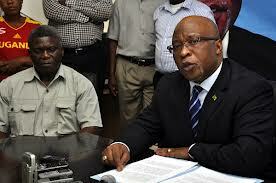 Nevers Mumba’s Movement for Multiparty Democracy is dead. In fact, it died before Nevers took over. It died a long time ago. It was only perpetuated by the little power in had as a ruling party during Mwanawasa’s tenure. Bo Mumba inherited a damaged brand and there is very little he can do to resuscitate it. The MMD as it stands now, will not win any seat in the 2016 elections. And this is not due to Mumba’s fault or any of the current leaders’. The demise of the MMD was consummated in 2001 by the very people who were influential in its founding in 1991. By their political engineering, both MMD long-time Secretary Michael Sata and his boss president Chiluba sowed the seeds of the demise of the MMD long before Mumba took over. While there is still some time left, it would be wise for Mumba to face reality and ask his colleagues to have the MMD form an alliance with the UPND with Nevers as the secondary partner of that alliance. If there is anything we can learn from Katuba as we sprint towards 2016, it is the fact the UPND is on the rise, the MMD is dying and President Sata remains somewhat well-liked in his traditional areas. 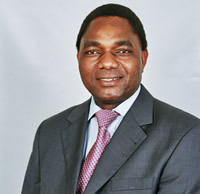 Will Hakainde Hichilema use this newly founded political capital to his advantage in the coming months? We will all watch and see.